We recently ended up in a beautiful little town in British Columbia, Canada, with a name that could have come straight from a Shrek movie. 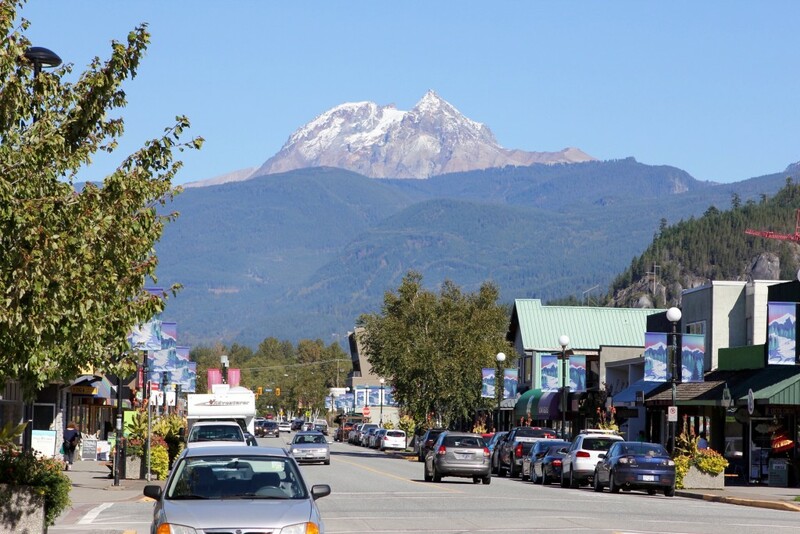 Squamish (which actually comes from the native American Squamish people) is situated only 66 km North of Vancouver and is, like so many places in British Columbia, heaven for mountain bikers and rock climbers. 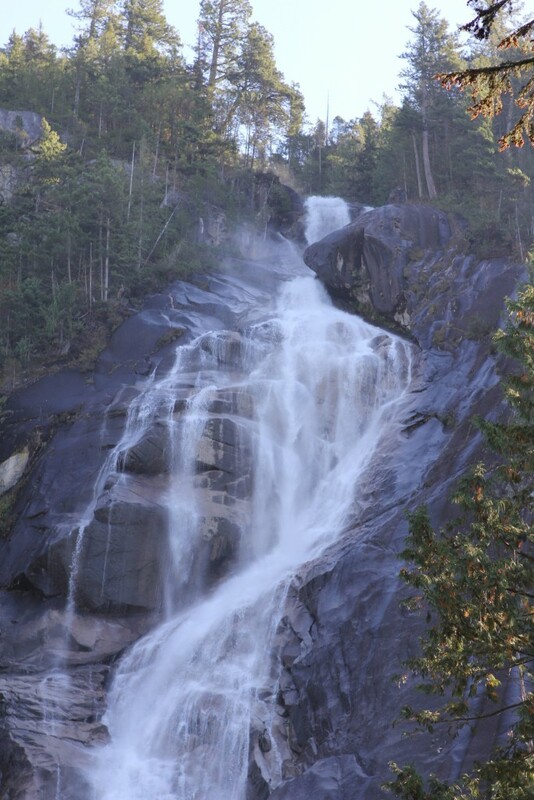 The most popular things to see here are the Shannon Falls and the Stawamus Chief, a big granite massif which is very popular with climbers. You can do some great bald eagle watching here as well (we didn’t get the chance to see any though). 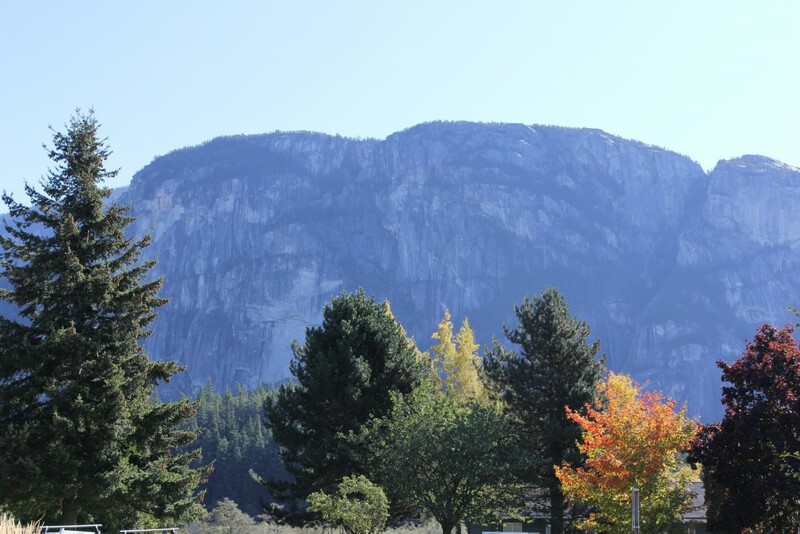 All of this is even more pleasant with a light mountain breeze and a bit of sun: we had the perfect autumn weather! 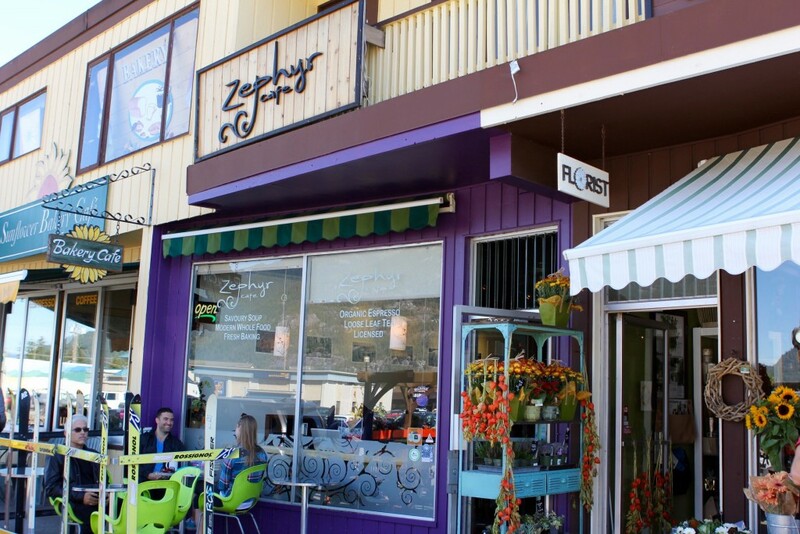 Something that made Squamish even more enjoyable is our visit to the Zephyr cafe. 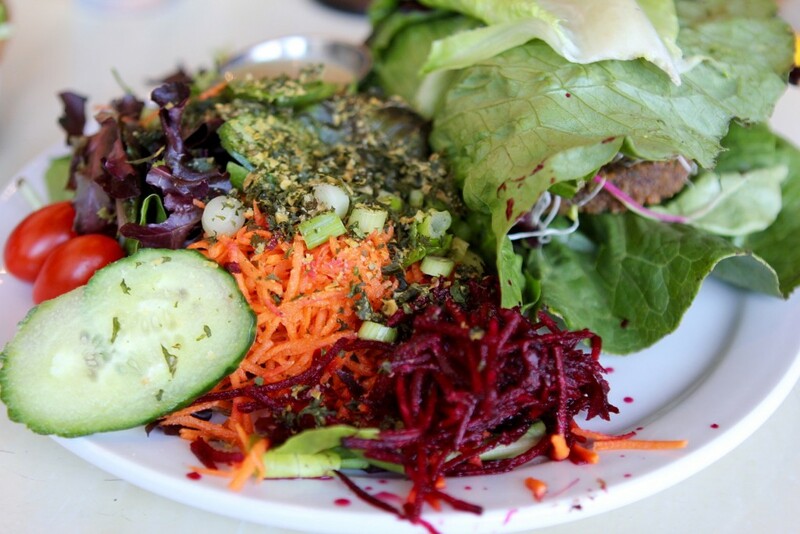 This vegetarian/vegan food spot has a big choice of healthy meals and a nice selection of baked goods, of which most are vegan and/or gluten free. 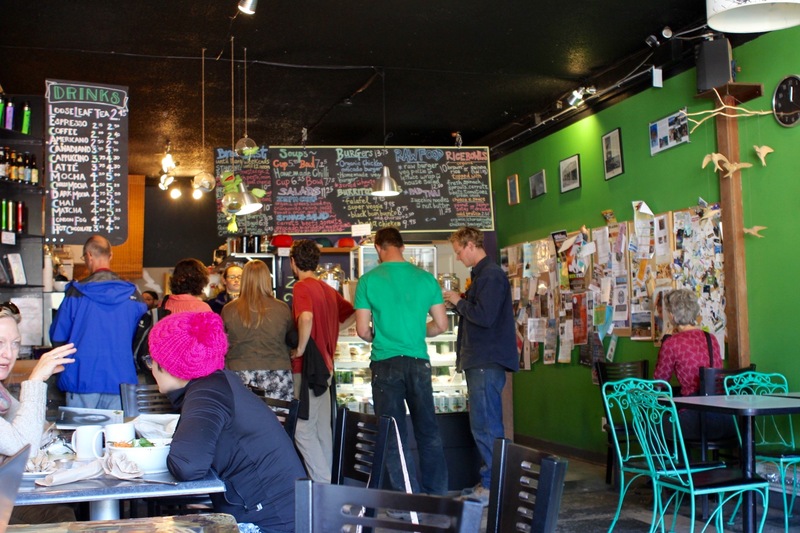 Very low key and simple, this place is perfect for a quick lunch or brunch. Dishes are made with mostly organic, local produce and can therefore chance by season. 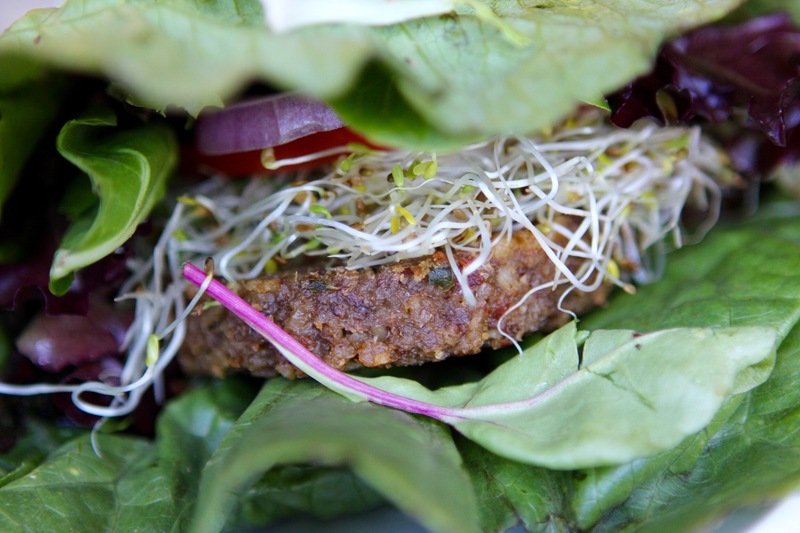 The best thing I tasted here was the raw burger (12,50 CAD or €8,50); a burger patty made from vegetables, sprouts and beans, served in a lettuce ‘bun’ next to a huge fresh salad. 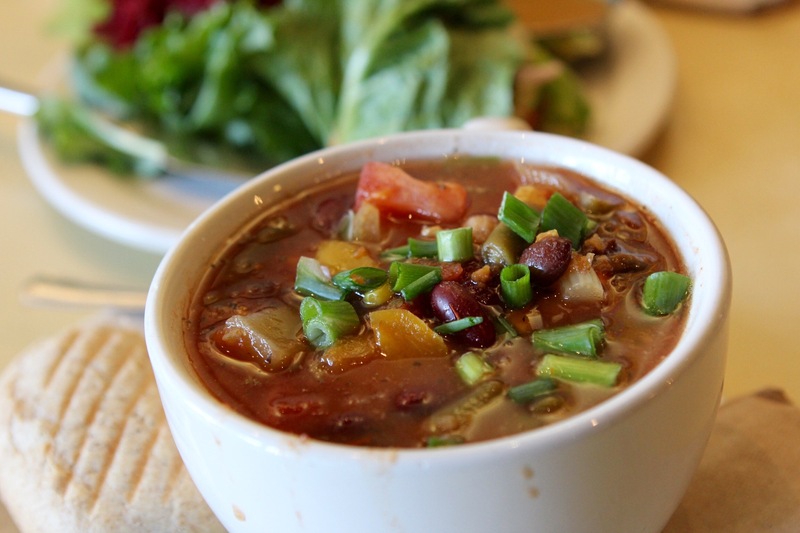 The vegetarian chili (7,75 CAD, or €5,20) was great as well, full of veggies and different kinds of beans, perfect for an autumn afternoon. The ‘Zephyr cookie’ didn’t last long enough to make it onto a picture, but was unforgettable; it is not often that raw, vegan cookies can make such an impression. Almost having a cookie-dough kind of texture, this is a real treat. The size of it (huge!) makes it even better.